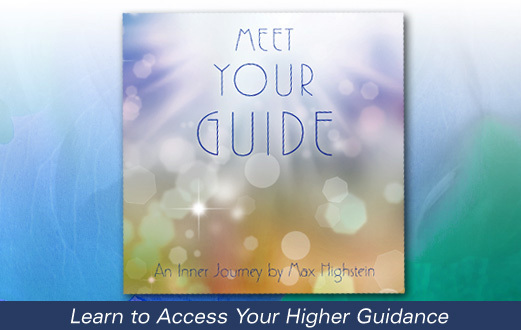 In this guided meditation you’ll meet your spirit guide. This wise being can help you solve problems, move forward along your path, and fulfill your purpose in life. Your guide may be someone you’ve known in this life or before. He or she could be a spiritual or historical figure, an angel, or other friendly and helpful being in Spirit. Your guide is already aware of you, ready to help you, and even knows when you’re about to do this meditation! This inner journey takes you to a heavenly chamber within your own heart. There, you’ll receive what your guide has to offer. You’ll hear, see, and feel messages, symbolic images, and energetic blessings from your guide. If you’ve ever wondered about the spirit guides that surround you, this is a wonderful way to get to know more about them. "Every one of us has higher guidance within and around us, whether that means angels, friends on the other side, spiritual figures, God, or one's own soul and Higher Self. Of all the teachings and practices I've experienced in my 40+ years of personal growth work, learning to receive input from my higher guidance has been possibly the most valuable, fulfilling, and enjoyable. Receiving guidance doesn't have to be mystical, far out, or mysterious. In fact, sometimes it's an ordinary day to day experience, and happens without our even realizing it. "Getting in touch with higher guidance is something everyone can do, and I love helping people explore that in personal sessions and classes. A while back I made a very comprehensive program for the same purpose, called Intuition Retreat. About a thousand people have taken that program/course, with more coming in all the time. If you want to dive into a fully immersive experience of connecting with your higher guidance, Intuition Retreat is the one for you. But if you simply want to get started making a connection, Meet Your Guide is a great way to get your feet wet. It works!"